Townline’s upcoming project ‘The Holland’ on Old Yale Rd at 133 St near Holland Park is heading to Council Monday for 1st & 2nd readings. The 25-storey condo tower has been under application since 2014, but is finally moving forward after years on hold. 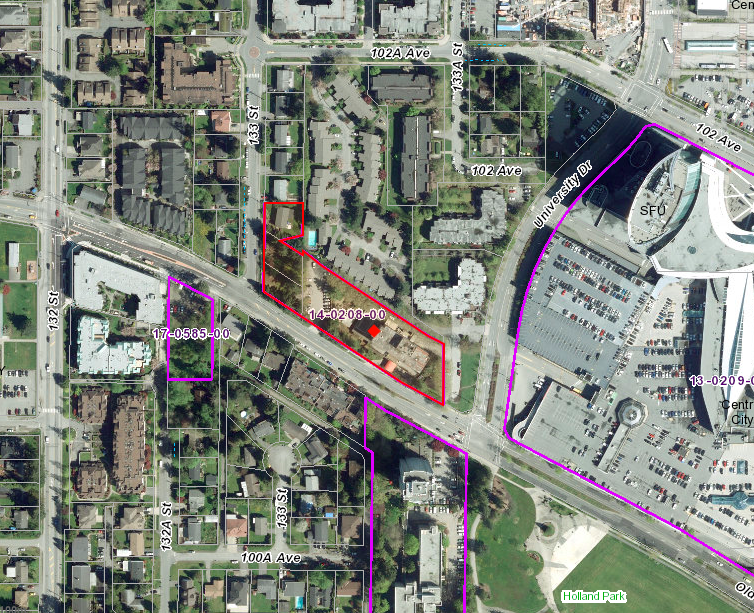 According to the Planning Report to Council, the tower and its base of townhomes are to be Phase 1 of a two-phased development of the site, which includes 4 properties along Old Yale Rd between 133 St and University Dr. The 25-storey phase 1 will occupy the western portion of the site, with a future Phase 2 to replace the existing 6-storey Kinsman Place Lodge on the eastern portion of the site. The Kinsman Place Lodge is a care facility currently operated by Fraser Health, scheduled to close in March 2019. 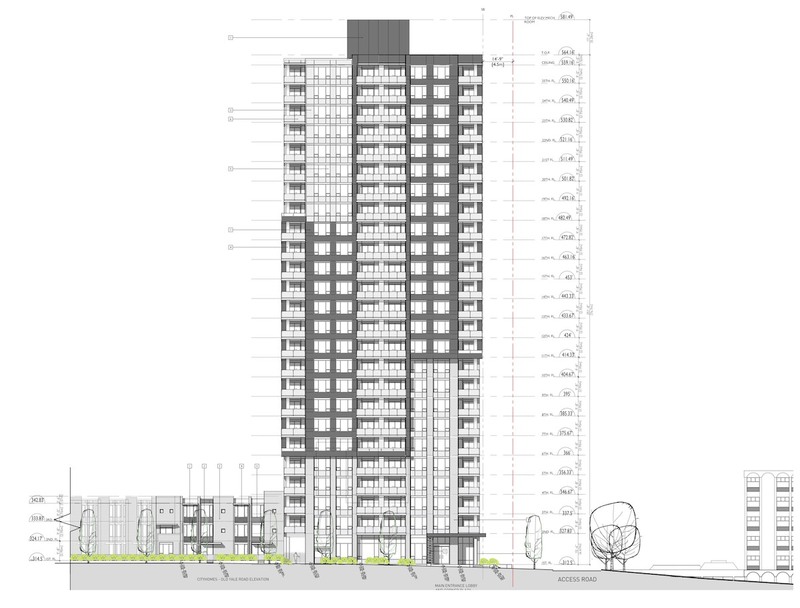 In total, the development is proposed to contain 250 units, consisting of 145 one-bedroom units and 96 two-bedroom units within the 25-storey tower, and 9 townhouse units in a 3-storey base along Old Yale Rd and 133 St. The development will also dedicate and construct the start of a new north-south road between Phase 1 and the existing Kinsman Place Lodge (future phase 2) – helping to achieve the goal of a finer-grained road network in the City Centre. 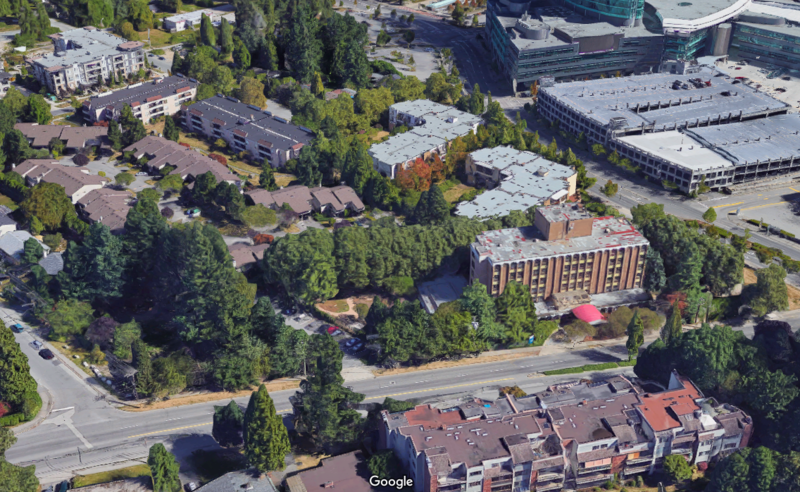 In exchange for density, the developer is proposing an enhanced public realm along Old Yale Rd reflecting its heritage as one of Surrey’s earliest roads. 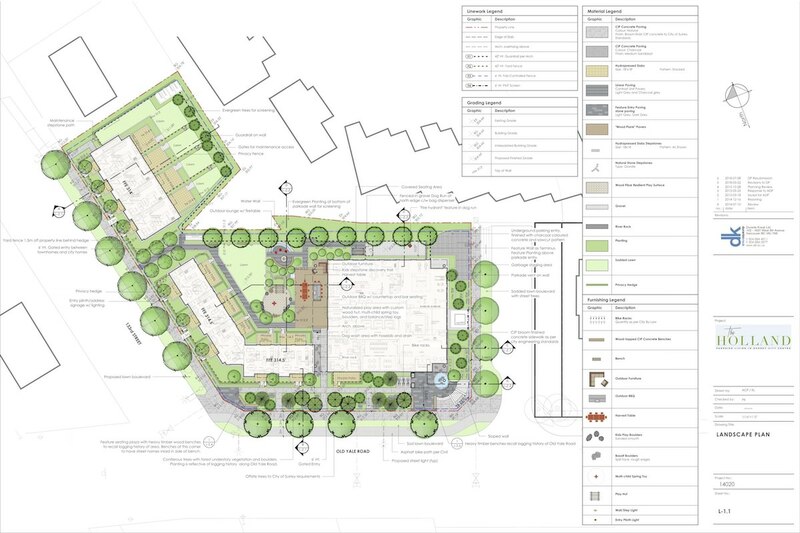 This is to include 2 new corner plazas at either end of the development, as well as an increased setback from the street, double sidewalks, enhanced tree planting and landscaping, high quality surface materials, and the use of heavy timber cedar benches reflecting the logging history of the area. 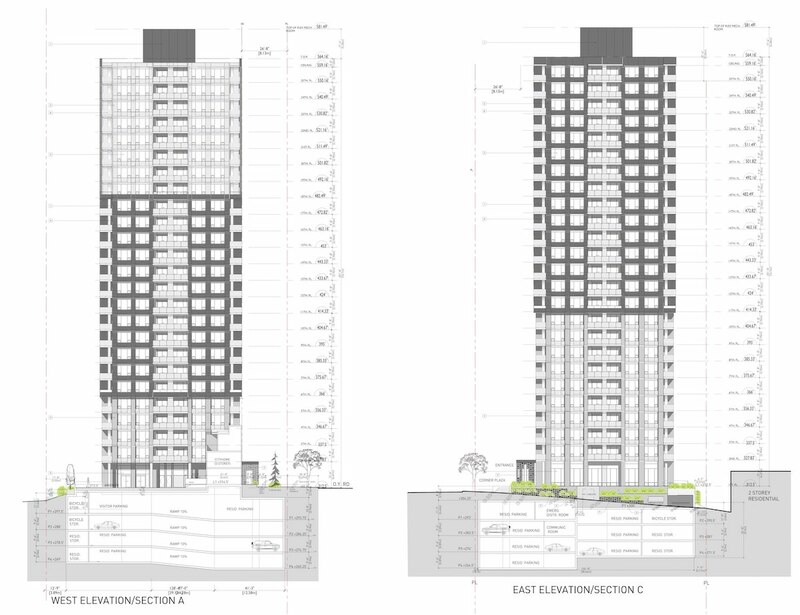 A sales centre for the tower is expected to open across the street from the site to the south of Old Yale Rd in the fall, with construction expected to begin in 2019, and completion / occupancy targeted for Spring 2021.